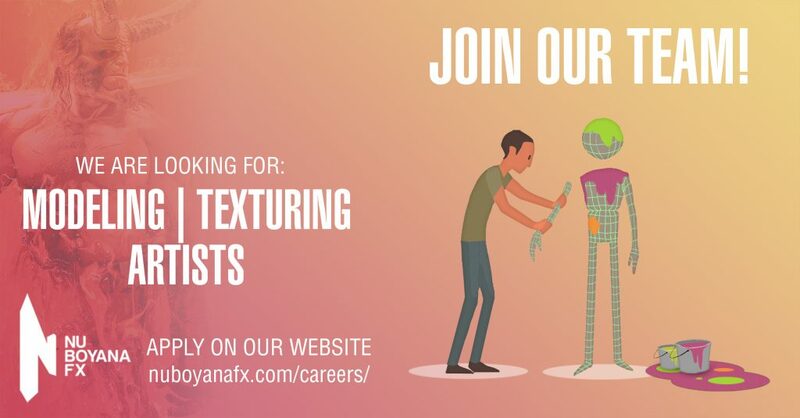 Nu Boyana Portugal is recruiting Modeling/Texturing Artists. Are you ready to join a fast-growing team with new exciting projects to come? Modeling and Texturing artists are responsible for creating 3D models which artistically meet the brief but also technically meet the needs of other departments. Within our structure they are also the ones in chargе of painting photo-real textures and relevant maps for other surface effects to be mapped to 3D objects.